The key for Chris was to find out the best way to train and eat to achieve the desired results. For his role in Thor, the Aussie superstar trained in the gym under ex-Navy Seal Duffy Gaver. He used traditional bodybuilding techniques to strengthen Chris’s arm and shoulder muscles. 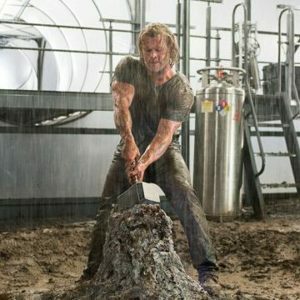 After filming “The Avenger,” Hemsworth shifted from weight lifting to cardio training in order to fit into the role of the Formula 1 driver. He revealed that shedding 30 pounds in just four months was a nasty thing, but he managed to do so with his constant cardio regimen and a strict diet. However, he re-installed the superhero physique by adhering to protein-packed diet and functional training. He spent about two hours in the gym every day and mixed up his weight exercises with boxing, plyometrics, CrossFit, martial arts, and more. 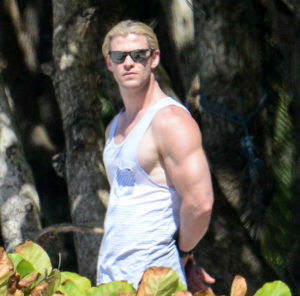 Hemsworth was on a calorie-deficit diet, comprising minimum amounts of carbohydrates and protein to burn off body fat. He ate plenty of vegetables and drank lots of water. Nutritionally, Hemsworth had to be efficient to look imposing as the God of Thunder. He had to be strategic with food, bulking up for 8 weeks and then gradually cutting down for a month or so. He ate brown rice, quinoa, fruits, and vegetables including lots of broccoli.